Are you trying to recover shift deleted files in your windows 10/8/8.1/7 PC/Laptop? Don’t you know how to recover permanently deleted data in computer/PC? OK, here I’ll explain exact procedure to retrieve lost data. We can recover lost data like important files, PDF’s, Open office files, images(JPG, JPEG, PNG,GIF…etc), videos(MP4, WMV,FLV,Avi etc formats), software’s other important folders. We also need a free best data recovery software for windows 10 or windows 7 or windows 8/8.1 or windows vista/XP users. In these days lot of spam and fake software’s are coming to the internet market. So, Which is best file recovery software to recover permanently shift deleted files? So we have to choose a best data recovery software to get back our permanently deleted files.I faced lot of problems with these unfit software’s. So i decided to give you the best software’s which regain the whole shift deleted files in our windows 10/7/8.1/8 or vista or windows XP laptop OS’s. I checked lot of recovery software’s on windows 10/7/8/8.1 PC’s. Here i am providing free and best of those data recovery software’s for windows 10 or other antedate versions. Read this below top rated recovery programs article and pick your favorite one. Don’t forget to comment your software and it’s performance in the comment box. One alert for you guys that is getting of deleted files is very low if we replace any new files/folders into that drive. Other wise we will get 100% good results. Recuva is the free software available over internet and it’s user friendly. You can download it for free and install in your windows PC or laptop. Recuva is one of the best file retrieve software’s and it’s compatible with all versions of microsoft like windows 10 or windows 8/7/8.1 PC or Laptop etc. 1. We can recover shift deleted files in all windows versions- Windows 10/8/8.1/7/Vista/XP/Mac. 2.We can get back accidentally deleted files in- Android versions, Hard Disk, Recycle bin, Pen Drive and External SD card. 3. We don’t need an internet connection while installing and recovering. 4. Easy to Handle, even windows beginners will handle it easily. So, Download this best free undelete, unerase file recovery program and install it on windows 10 or MAC or windows 8/8.1 or windows 7/XP and get back all your required files. Before downloading Recuva, you have to know your system is 32 bit or 64 bit. Both 32 bit and 64 bit Recuva software’s are available and these works according to system configurations. A recuva software is works in both 32,64 bit architecture. But i recommend you to download and install the latest 64 bit OS recuva software for better performance. If you want more extra features of recuva you have to buy pro version. I recommend you this free version if you are not satisfied then go to PRO version. You must check>>> Download WhatsApp Free video calling APK, enjoy the free video calls & Download WhatsApp for Samsung/Bada mobiles. We can call this EaseUS Data recovery software is windows 10 best recovery tool. Most irritating thing in our system is data loss and it’s happen any point of time. So we must have a tool that capable of retrieving lost data. EaseUS is trusted by million number of users. Now windows 10 users are also adding. 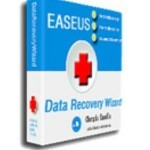 We recover permanently deleted files by using this EaseUS data recovery wizard program app in windows 10, 8, 8.1, 7 XP and vista versions. As like recuva, we can also use this very easily. Free download this free best recovery software and install. Downloading link is given below, If you have any doubts while installing this EaseUS software comment below, I’ll resolve your problems. Pandora is also one of the great software to restore our shift deleted files. As like other premium tools Pandora is also available both free and premium versions. If you want enjoy full features of Pandora download premium version. Pandora program is works very well with windows 10 and windows 7,8,8.1 or windows XP, windows vista. I personally checked Pandora with all this windows versions. Pandora data restoring software also working pretty well with recently released windows 10. 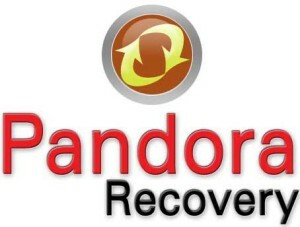 You can use this Pandora free software for all type of devices like android devices, pen drives, external hard disks, micro soft all windows versions to recover permanently erased files. Pandora is one of the best file recovery software for windows 10 and windows 8/7/8.1 or antedate versions. ♦ Protect your PC with these Best and free top antivirus software’s for windows 10/Mac/8/7/8.1/Vista Laptop. 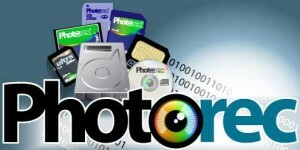 PhotoRec software is a free tool and very powerful. PhotoRec is also easily handled by everyone. PhotoRec undelete free software works very efficiently and give very good results. Free download this best recovery software from given link. It’s works with almost all windows 7,8,8.1 and windows 10 PC or Laptops , DOS , Linux versions. 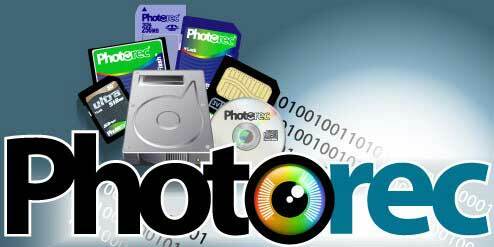 We can recover almost more than 200 file formats by using this PhotoRec free software. It’s a free data recovery software. 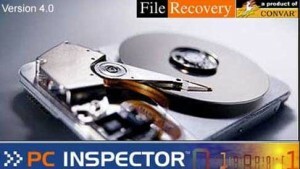 PC inspector data recovery software looks some what complex. We must have some patience to know all the advantages of this recovery software. PC inspector recovering function is pretty good with windows 10/7/Vista or windows 8/XP laptop or PC. PC inspector has some unknown problem while installing in windows 8.1 computer OS. If you find any solution for that let me know your solution. We can recover almost all type of files like images, ODT, Videos, PPT..etc by using this free PC inspector software. That’s all about best file recovery software’s for windows 10 laptop or windows 7 or windows 8 or windows XP or Vista PC’s. Choose your favorite one and free download from respective links which are given above. If you face any problem while downloading or installing or recovering of this best recovery software’s for windows 10/7/8/8.1 PC/Laptop post your problem through comments. I’ll help you to get rid of your problems. Finally i hope you will share this article with your best buddies and let them know how to recover deleted files in their system and about these best, top and free recovery software’s. I recently upgraded to windows 10..dear admin, All above best file recoversoftwareses, which one best compatabile with windows 10 laptop?.. Hello Rishi, I am also user of this latest wonder windows 10 version. I checked these file recovery software’s for windows 10 PC. According to my opinion When i use Recuva, I got very good results compared to other recovery programs. So, I recommend you to use Recuva free software for windows 10 laptop. 2. Select volume (where you lost your Windows 10) and click “Scan”. 3. Restore found files/data and save them at a different spot. This is really great that you are giving such an amazing tools list to help user to recover their lost data but I think you just skipped some brilliant tools that should be in your list like Stellar Phoenix, Getbcakdata, etc. Is it really compatible with windows 10? I just upgraded to win10 recently. Pat Hunter, Thanks for suggesting one more recovery software for our readers. Thanks. Its really a good list of recovery softwares. UFUShare Top 5 Best Windows 10 Data Recovery Software is a great post. If you are looking for the easiest way to recover files from windows 10 once and for all, you you use UFUSoft Windows 10 Data Recovery. This is very great information for us. 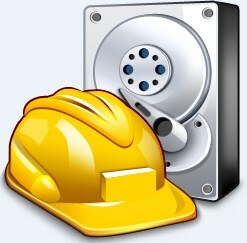 i want to say something about the mac OS , do you have mac OS data recovery software. Awesome! Works like a charm. Thanks a mio! I think this is important article for learn about data recovery. Now Data loss is common matter. But if we know how to recover Data, we can easily recover our Data loss. When data loss occurs, I need a company with the technology and skills required to successfully get your data back as quickly as possible. Thanks a lot for amazing article. Thanks for your nice post and And have you tested Puran file recovery? Honestly, last time, when my hard drive got cleaned due to a mistaken quick format, I did have searched and tried many free data recovery tools searched online, like your mentioned Recuva (free and fast), iCare Data Recovery Free (completely free and effective), PC Inspector Recovery (free, but, fails often) and Puran recovery (free). And TestDisk and PhotoRec were also free, but, difficult to understand and operate. Hope my experiences could help you enrich your article.